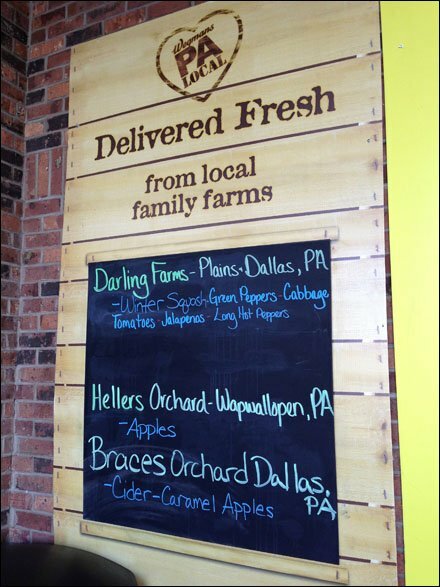 Document the farm-fresh local origin of your produce with a Local Farms chalkboard. 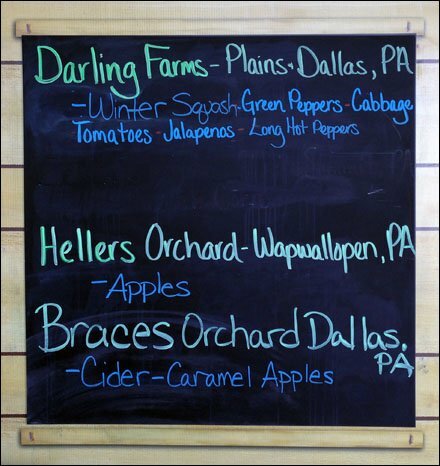 You can update as necessary, even daily, to reflect what is fresh and local in your selection. And the sense of immediacy of chalkboard spills over into a psychological sell of the freshness of the goods. Pitching the Family Farm angle always strikes a responsive cord too. I have never been a farmer, but always admired and voted in support of that demographic in Township matters. Few trades are as admired and beloved as farming. CLICK the thumbnail for a better look. Then go back to the main view to see that non-changeable verbiage is branded on wood not painted. Another more “natural” approach to sign creation.